CowaterSogema is implementing this seven-year project which will provide increased access to potable water and sanitation services in up to 30 selected small towns in the Northern Region of Ghana (approximately 125,000 beneficiaries) through design, installation, and capacity building support for the operation of water supply systems and appropriate sanitation facilities. The project will also provide socio-economic improvement by strengthening local capacity to manage and sustain access to potable water and sanitation services in small towns. Upon completion of the work, the project will have: a) increased the capacity of stakeholders at regional, district and sub-district levels to effectively fulfill their respective roles in the delivery of potable water and sanitation services; and b) constructed water supply and sanitation installations that adequately supply communities. 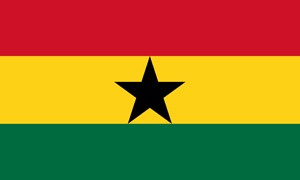 The NORST project will support the implementation of project activities by the authorities and agencies responsible for the delivery of water and sanitation services to small towns in Ghana.